바비 인형 Dreamtopia - TEASER TRAILER! Am I the only one who think this series is more showed for toddlers/little girls? The animation looks like storybook pictures, and somewhat reminds me to Disney Junior/Nick Jr. cartoons. 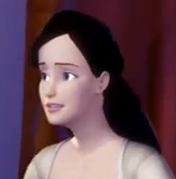 I agree.It is obvious that this series is only going to be for 5 year old girls.The character design is pretty bad in my opinion,it looks like a watered down version of Sofia The First.Its a shame that Mattel has decided to replace a fun series that can also be enjoyed by more mature viewers like Life In The Dreamhouse with this. I don't care about it at all. As long as I heard Miss Kelly Sheridan in this, I'm happy and contented with it. which movie is she from?